This proposal describes the key elements in the process route utilised by RCR for the conversion of landfill gas to liquid methane. 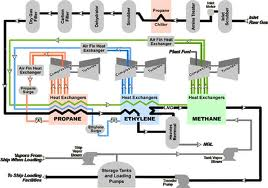 It involves the collection of landfill gas, its compression, the removal of carbon dioxide by a variety of means such as pressure-swing adsorption or pressurised water scrubbing, standard gas refrigeration and, finally, cryogenic cooling of the residual methane content into a liquid. As the opportunities for the use of landfill gas have developed and matured the possibility of using liquid methane as a route to large-scale exploitation has been held under review in a number of locations. The local energy market is such that electricity generation is not feasible in the near to medium-term and there is a developed economy within relatively easy reach but out of the viable range of pipelines. The key problem is how to convey a potentially high-grade energy supply to a potential user in a commercially viable manner. In such a situation there are a number of options available to the landfill operator. The first, and most often encouraged by seemingly insurmountable administrative, commercial, political and technical barriers, is to do nothing. In the absence of clear direction and decision-making large volumes of landfill gas are simply burnt off in increasingly more sophisticated flares. The next level of investigation is to consider bringing an industrial application to the point of supply of otherwise wasted energy. 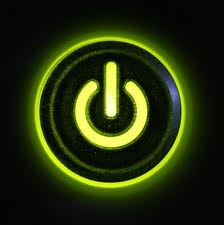 If the energy cannot be taken to the user the user can be brought to the energy. Unfortunately, there are few industrial products that can benefit from an expensive transplantation and even fewer that can successfully be launched at the location of a landfill simply to benefit from a reduced-cost energy supply. The final possibility is to seek means, other than a pipeline, of carrying energy from the landfill to a point of use. Practically, under this heading there are only two real options. The first is compression and the second is liquefaction. For both options it is a fundamental precursor that carbon dioxide and other trace gases are removed prior to conversion. Where high carbon dioxide content is not required by the end-user, its presence will almost double compression, storage and transportation costs to no ultimate benefit. Both options will have their commercial point of application. 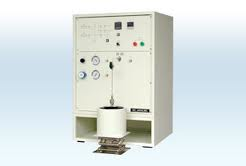 Compression has the advantage of involving lower cost capital plant and equipment. It is suitable for use in vehicles. Transport to the point of use can be omitted if the users can come to the site to re-fill. It may be that a short pipeline to a re-filling point will suffice. Where large volume transport is required the option of moving methane, as a compressed gas, becomes less attractive. 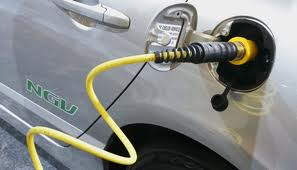 The energy density (energy content per unit volume of storage space) of compressed methane (6.8 MJ/litre) is approximately 30% of a typical liquid fuel such as liquid propane (22 MJ/litre) and 20% of petrol (34 MJ/litre). By contrast, the energy density of liquid methane is comparable with that of liquid propane at approximately 20 MJ/litre. The barrier, in terms of application, comes in the form of the technology required to carry out the conversion from a gas to a liquid. Methane is converted to a liquid at approximately minus 155oC at 1 bar pressure. 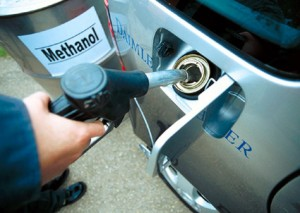 Unlike carbon dioxide and propane, methane cannot be converted to a liquid by compression alone. Once converted to liquid, methane will not remain in this state unless the temperature is retained at below minus 155 degrees C when the liquid is at 1 bar gauge-pressure. This requires high-grade thermal storage systems that, even at their very best, will result in continual evaporation losses unless the methane is drawn off and used at a steady rate. Times have moved forward and with the exponential increase in oil prices there appears once again the possibility of employing such technologies for commercial gain. The politics of landfill engineering have lead to an ever-increasing size of landfill site. In many countries waste management systems have been introduced that have led to large centralised landfill sites, currently producing vast quantities of landfill gas. It is also a commercial reality in Serbia that the use of landfill gas to generate electricity is either not viable or not possible within the prevailing electricity production and distribution regime. Typically in a remote location, the only real options remaining for landfill operators are to consider means of maximising on-site use or to look to exporting methane from the site to a suitable point of use. In such circumstances the possibility of using cryogenics becomes a serious possibility. 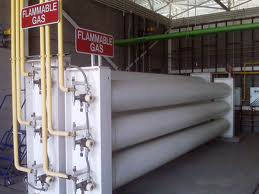 The production and supply of liquid gases is well established for nitrogen, oxygen and argon. In actual fact the technology required is almost identical. These gases have boiling points in the same region as methane and cannot be liquefied with pressure alone. From the fractionation columns employed in the liquefaction process to the vacuum insulated vessels employed for storage, the technology is actually part of the mature industrial gases market. Prices are competitive; products come with performance guarantees and the technology is universally employed. Liquid methane: The triple point of methane is 46-bar gauge and 190.6 K (- 82.5oC). This is the point below which methane becomes a liquid. Above this temperature is not possible to liquefy methane by increasing the pressure alone. At 1 bar gauge methane will become a liquid at 116.6 K (-156.5oC). The specific heat of methane is 2.1 kJ/kg K. The ideal work required to cool methane to the point of liquefaction is to the order of 300 kJ/kg. The ideal work required to liquefy methane (latent heat of evaporation) is 530 kJ/kg. With a Carnot efficiency of 14% the total actual work required is 5.93 MJ/kg. For a plant liquefying 1,000 kg methane per hour the energy requirement will be 1.65 MW. This equates to 1.65 kW hrs per kg. If an engine with a thermal efficiency of 35% is used to generate electricity approximately 1,000m3/ hour of landfill gas will be required to generate the electrical power required. The overall efficiency of conversion will be in the region of 74%. Methods of liquefaction: There are three basic methods of liquefying methane. The first is that widely employed in industry to liquefy industrial gases such as nitrogen and oxygen and involves compression and expansion through a Joule-Thompson nozzle. This expansion results in a dramatic drop in temperature to enable a portion of the gas to be liquefied. The remainder is returned to the compressor inlet to be recycled through the process. The second method is the Stirling engine as developed by Phillips of Eindhoven. This employs a classic Stirling engine cycle to compress and expand helium through a regeneration medium. This process tends to be more efficient than the expansion method but plant throughputs are limited and cannot meet large-scale industrial requirements without significant investment in a large number of small machines. The third method is one that is currently under development in the United States and involves the use of ultra-sound to liquefy methane. With no moving parts this is clearly a very serious opportunity for commercial application. 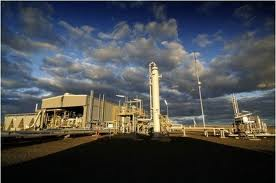 Standard cryogenic liquefaction plant will provide the only serious option for large-scale liquefaction of methane from landfill gas for some time to come. There is clearly some advantage to be gained in employing a technology that has been in use around the world for many decades. 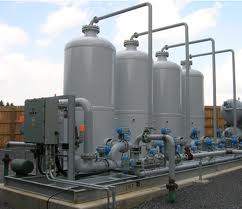 Methane purification: Prior to liquefaction, the methane content of landfill gas must be purified. This is necessary for a number of reasons. Carbon dioxide, for example, freezes to a solid at a warmer temperature than that at which methane is liquefied. If the carbon dioxide is not removed completely it will gradually ice up the heat transfer surfaces and reduce the efficiency of methane liquefaction. 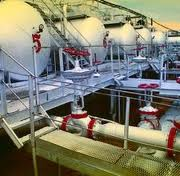 Handling and storage: Once liquefied, a cryogenic liquid must be retained at the temperature of liquefaction otherwise it will commence evaporating off. Commercially available storage vessels are vacuum insulated with various types of specialised insulating media installed into the vacuum space to prevent radiative and convective heat losses. Such vessels will typically have a vacuum of around 5 – 50 microns and are commonly found in many industrial environments such as water treatment works (for the storage of liquid oxygen) and food processing plant (for the storage of liquid nitrogen). One particular issue that will need careful management is the process of transferring liquid product from one storage vessel to another. Cool-down losses on transfer can be significant. Whilst various cryogenic hoses and vacuum insulated pipeline can be employed, it would be preferable to keep the liquid in the same vessel in which it was initially stored after liquefaction rather than transfer it from one vessel to another. When liquid methane is vaporised it expands to approximately six hundred times its volume as it approaches ambient temperature. This attribute can be usefully employed to provide pressure at the point of use, for example, in the feed to a gas turbine for power generation or the feed to a cracking plant to convert the gas to some other chemical form. A backpressure regulator must control the actual pressure the system develops. Circumstances suitable for use: The circumstances in which the liquefaction route to landfill gas utilisation will become viable can be fairly clearly defined. They will have the following principal characteristics: The landfill site must be large to ensure a viable return on the investment. A site with a domestic waste capacity of less than (say) 3 million tonnes and an annual input of less than (say) 200,000 tonnes will probably be too small. There must be a purchase contract in place with a user that will ensure the project can be profitably operated. Such a purchase contract will be for at least five years and preferably ten. The industry to which the liquefied gas is supplied must be stable and predictable. It would be extremely unwise, for example, to build a system to supply liquid methane to a new or novel product that has yet to be tested in the market place. 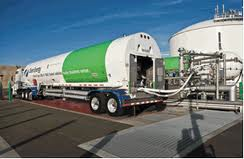 Transport of methane to a filling station for fleet vehicles running on compressed natural gas or compressed methane. Examples of suitable fleets would include bus services and commercial trucks on short localised runs. Transport of methane to power plant running on methane gas. 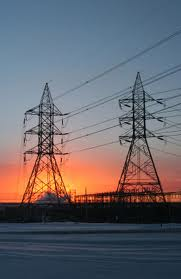 Such power plant may be generating electrical or mechanical power for industrial complexes or for large buildings. 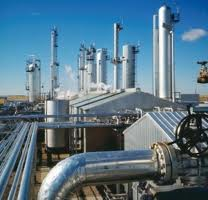 Transport of methane to cracking plant or petrochemical plant for conversion to other chemicals. 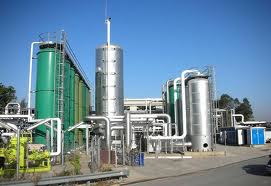 This commences with a method of extracting the gas from the landfill site. After extraction the gas must be compressed to raise it to a pressure suitable for the remainder of the process. In this case the process route is based upon pressurised water scrubbing followed by pressure swing adsorption (PSA). The pressurised water scrubber will remove the bulk of the carbon dioxide and the PSA will remove traces down to levels suitable for liquefaction. After the scrubber it is desirable to dry the landfill gas to remove load from the PSA unit. 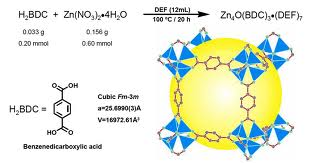 The PSA process is based upon the selective adsorption of carbon dioxide molecules into the structure of a zeolite sieve. If the gas is wet water will be preferentially taken up, thus drying the gas but reducing the remaining length of the active bed. Pre-cooling may take the form of a separate refrigeration unit or a heat-exchanger on cooled exit gases. Pre-cooling also acts as a final pre-conditioning of the gas makeup prior to liquefaction. As with many types of capital plant, exact figures for capital costs will be subject to specific circumstances. For a production rate of 1,000 kg liquid methane per hour a typical gas extraction system, including gas wells, collection pipework, gas blower and flare will cost to the order of €750,000. Compression, water scrubbing and PSA plant will add a similar figure to the budget. The pre-cooling and liquefaction plant is perhaps the most difficult to pin down without actually going to the market. Regional variations in equipment standards and the vagaries of the market place will have a big impact upon purchase prices. A unit of this size would normally be available for approximately €6 million Euros, giving an overall plant installation cost of approximately €7.5 million. As a very simple guide the cost of capturing all of the landfill gas generated at a large municipal landfill site and converting that gas via liquefaction would be of the order of €25 million. There are clearly many variations upon this basic theme. It may be, for example, that the collection system will be carried under a separate cost centre, such as environmental management and will not need to be included in an estimation of overall project viability. There is also the question of power generation. If the electricity can be generated from landfill gas this will add to the plant budget but significantly improve the overall plant economics. On a broad basis, the overall equation is one of producing twenty-four tonnes of liquid methane per day for a plant capital cost of approximately €7.5 million. The energy value of the liquid methane produced will be 316,666 kW hrs. The power consumption will be to the order of 2 kW hrs per kg. For such a plant this will amount to a daily energy consumption of 48,000 kW hrs or 15%, in energy terms, of the energy available in the liquid. For a project with a payback period of (say) five years and a return on investment of (say) 20% the sales price of methane would need to be approximately €0.25 per kg to cover the capital cost. One kilogram of liquid methane is approximately equivalent to 1.4 litres of petrol. If one kilogram of liquid methane were used to generate electricity it would produce 4.6 kW hrs. This gives a situation where 2 kW hrs of electricity input per kg, plus €0.25 per kg, will produce an output potential of 4.6 kW hrs, if used to generate electricity. If employed as a vehicle fuel substitute the economics may be even more attractive. Methane is a high-grade energy source. A wide range of uses is available for commercial exploitation. Where landfill gas cannot be directly used or transferred by pipeline to a point of use, the possibility of liquefying methane is one that merits investigation. As a liquefied gas the potential value of methane, as well as the range of applications to which it can be put, may be significantly increased. The collection and conversion of methane from a landfill site into a liquid involves technologies that are proven and readily available. System economics will be subject to local variables but, in general, the dynamics of the process favour a commercial return. A large number of private and commercial vehicles have already been converted from petrol or diesel to using methane as a fuel source. The typical cost of conversion of a private motorcar is around €250 per vehicle and considering methane is approximately half the retail price of petrol, there are compelling arguments for installing a gas capture system at the Vinca landfill site and to build a liquefaction plant to convert landfill gas to valuable vehicle fuels. 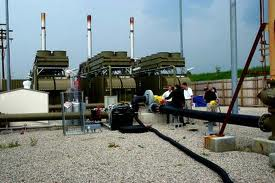 Landfill gas is a particularly attractive waste gas supply option. Methane develops from the natural bacterial digestion of organic waste buried within the landfill. This gas generation can continue at stable rates for more than 40 years after closure of a landfill. 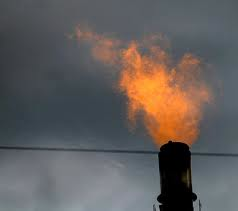 Just one landfill emitting 1MMscfd (million standard cubic feet per day) of gas with 50% methane content, over a 40 year landfill life, is a source of 7.5 billion cubic feet or €20 million worth of methane at modest pipeline prices, or €50 million worth of LNG. Landfill gas also can be a troublesome environmental problem. 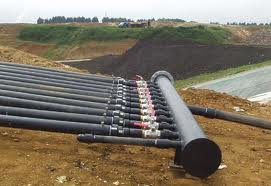 A collection system consists of vertical wells drilled into the waste or horizontal pipes buried within the landfill. The gas normally would be directed to a flare for incineration of heavy organic compounds and the methane. 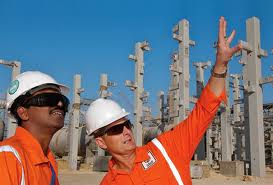 LNG is primarily for the transportation sector, with the option of selling to other energy sectors as well. Waste collection vehicles that make multiple daily trips to the landfill and other heavy duty vehicle applications are outstanding customers for a portion of this LNG. For use on site, the economics are very compelling. After accounting for federal and state taxes on both LNG and diesel fuel, use of LNG can be a €0.50 per diesel gallon fuel savings in today’s market.